Is your lack of organization impacting your ability to effectively manage your diabetes? 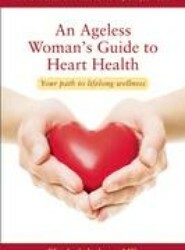 Do you run out of supplies and forget endocrinologist appointments? Do you find snacks in your pantry that expired sometime before the insulin pump was invented? Do you struggle to keep track of health-care invoices and payments? Do you succeed at keeping an active health journal for a week or two and then neglect it for a year or two? 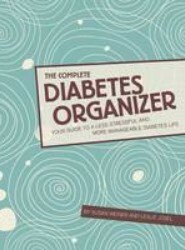 It sounds like you could use "The Complete Diabetes Organizer"! 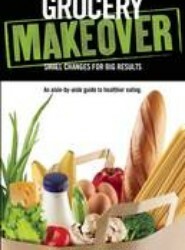 Within the pages of this book, diabetes educator Susan Weiner and organizing guru Leslie Josel provide you with dependable strategies and ideas designed to help streamline your diabetes care and simplify your life. From her distinguished career and experience in the fields of diabetes and dietetics, Susan Weiner brings helpful tips and tricks that are guaranteed to ease daily mechanics, promote improved nutrition, and relieve stress caused by disorder and confusion. Certified professional organizer and ADHD Specialist Leslie Josel applies her expertise to the topic of diabetes, with simple, surefire techniques that will allow you to disentangle yourself from the clutches of chronic disorganization. "The Complete Diabetes Organizer" is your guidebook to maintaining your diabetes with less effort and more confidence, allowing you to focus on enjoying a healthier, stress-free life. The field of robotic surgery is dynamic and fascinating. Surgical robots currently perform a wide range of procedures across a diverse group of specialties, and they have proven to exhibit a number of significant advantages over manual surgeries, including increased precision, less blood loss and pain, and shorter recovery times. 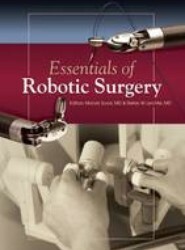 In a rapidly changing world of technology, healthcare organizations may find it difficult to determine how to incorporate robotically-assisted surgical techniques into their systems.."Essentials of Robotic Surgery" provides comprehensive, detailed analysis of the current developments in robotically assisted surgery. 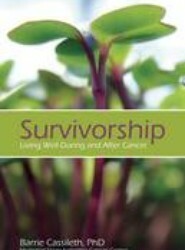 Covered in the book are the most notable, current surgical applications, from coronary revascularization to prostate surgery, from the lungs and esophagus to the uterus, from sleep apnea to head and neck cancer..Edited by Drs. Manak Sood and Stefan W. Leichtle, this book details the history of robotic surgical technologies and techniques, while looking ahead to the possibilities contained within future applications. "Essentials of Robotic Surgery" is an ideal resource for healthcare professionals who are considering whether robotic surgeries may be right for their organization.